Ever wonder how to make a not-so-clean recipe, clean? No, you don’t scrub it with a brush. I can’t tell you how many times I’ve heard that (really bad) joke! I firmly believe that most recipes can be converted to a clean eating plan with a little experimentation and some elbow grease. So if you’d like to take a crack at it with one of your favorite recipes, here are some basic guidelines for making those healthy and clean substitutions. If you would like any help with substituting a particular ingredient, please leave a comment and I’ll see if I can help. And here’s how to make (almost) any recipe clean. Sugar is pretty easy to substitute if you have a kitchen scale. Simply weigh the amount of sugar called for in a recipe, and then use that same weight in any natural liquid sweetener like honey or maple syrup. (Don’t try to substitute by volume. 1 cup of sugar does NOT equal 1 cup of honey.) Check out my Sugar Substitution Chart for substituting different types of sugars. Coconut sugar and sucanat are also good substitutes, though I rarely cook with them. THINK BROWN SUGAR IS A HEALTHIER OPTION? THINK AGAIN! Brown sugar is simply white sugar with molasses added. Need to find a substitute? Follow the directions above for weighing. Once you have the weight, use 3/4 honey and approximately 1/16 molasses to get a flavor that is close to the real stuff. If you want a dry version, try sucanat. It has a mild, brown sugar flavor. In cooking or “frying” – if your recipe calls for more oil than you’d like to use, start with 1 tbsp. olive or safflower oil and replace the rest with plenty of chicken broth and a non-stick pot or pan. In baking – use 3/4 cup apple sauce (no sugar added), and 1/4 cup fruit purée (like pumpkin or banana) for each cup of oil. But be sure to add extra spices and extracts, as there is then little or no fat to enhance the flavor of what you are baking. Typically, 1 extra tsp. of extract or spices will do nicely. Watch your baking times closely as low-fat/non fat items turn from raw to dry very quickly when in the oven. White flour is not only used for baking, but also for thickening sauces and other culinary uses. If the texture of your recipe depends on the flour (like in baking), then stick to whole wheat pastry flour. If not, experiment with the myriad of whole grain flours found in your local health food store. It’ll be a very tasty adventure! As much as I love eggs, I know lots of folks can’t eat them. I found a fabulous source for all kinds of ways to replace eggs, either the whole egg or just the whites or yolks. Check it out here. This is such an involved subject that it would take me a whole other blog to cover it. So instead, I’ll send you to the expert: Elana’s Pantry. Her tips are excellent. If you are wondering about something not listed here, leave a comment below. I’d also love to know what substitutions you use to keep YOUR cooking and baking clean! Thanks for this – I often substitue agave and honey and applesauce, but it’s nice to have some clear cut guidelines. Hi, I would LOVE to know what to substitute the Campbells mushroom soup for in my family favourite Tuna noodle casserole. It is a standard that my family is really missing and I can’t seem to get the flavour just right. I’ve had a few people ask me for Campbells substitutions. Let me see if I can come up with something for you. I’ll get back to you on that. Stephanie- That sounds wonderful! I may have to try that! This is my first visit to this AMAZING site. Thank you Stephanie. That sounds wonderful! Shannon – Welcome! 😀 Please let me know if you have any questions. I’m always happy to help if I can. I have another question. If a recipe calls for canola oil, or say, melted butter or margarine, can it be substituted for another oil such as sunflower oil? Marlena – Oils are easily substituted with other oils. So yes, use whatever oil you are comfortable with. I’ve never heard of coconut sugar. I’ll have to investigate. Sorry I can’t be more help with that one! Did you ever come up with a solution to the Campbells soup issue? Sarah – No. But I haven’t given up. Unfortunately, some things are made “better” with chemicals and unhealthy ingredients. but I will keep trying. So far, the closest I’ve gotten is sauteed mushrooms in a milk thickened with whole wheat flour and cornstarch. Not to tasty. But I won’t give up! Sarah, I found this on this site. I think it may be the answer for your cream of mushroom soup substitute. I have a recipe that calls for 1/2 cup agave but I don’t have any. Can I substitute with Sucanat, and how much would I use? Kim – Either use 1/2 cup honey or use 3/4 cup Sucanat. I have been trying to find a way to “Clean” freeze my home grown peaches so they won’t turn brown in the freezer. Everyone keeps telling me I need to add sugar to them. I don’t use white granulated sugar for anything. I do use raw sugar at times but most often I substitute agave for any needed sweetner. I just don’t think the peaches would freeze the same with the agave. I would appreciate any suggestions. “Mix the peach juice with 1 teaspoon of lemon juice. So see if one of those suggestions works for you. And please let me know how it turns out! I’d be really interested to know. for the mushroom soup do you use any stock? I make mine using chicken/veggie stock as a base then add the mushrooms, (I use potent mushrooms, shitake, portabella etc.) and thickened milk. Erin – Yes I do. Stock is the only way to go! I saute shiitake mushrooms, chopped onions and a clove or 2 of minced garlic in a little olive oil, salt and pepper to taste. Then make a roux with the oil/juices and some whole wheat pastry flour. Then thin it with unsweetened Silk to the desired consistancy depending on if we are eating it as soup (with a little tarragon added) or using it as the sauce in a casserole. This is nothing like Campbell’s. We think it is much better. Try it an see what you think. Thanks Jodi – I’ll give it a try! My mom uses 1/2 orange juice (not concentrate) and 1/2 water for fresh peaches in a fruit mix. For freezing she uses just lemon juice to keep the color. Lemon juice also does for fruit (in desserts and such) what salt does for savory things, kind of “sparks” the flavor. If the fruit is fully ripe and sweet you probably won’t need to use sweetener, or very little. Thanks Jodi! Great advice as usual! Any ideas for a substitution for cream? Was thinking of trying to clean up a peanut butter chocolate pie recipe. Thanks!! Wendy – You could try coconut milk or soy milk thickened with arrowroot, cornstarch or tapioca starch. You could even add in a little unflavored gelatin. I have gone slowly into clean eating over the years without realizing i have done this. My son is very allergic to MSG he become very behavoiral when he has anything with it in it. So I started with not making anything from a box or can for my 4 kids i figure if my oldest is like this it possible for the other too. And the great think is i went from 360lbs to 249 and still loosing. This is a learning process for me and one i actually enjoy. i don’t like putting anythink in my mouth if i can pronounce it. Berrim – That’s wonderful! That’s what clean eating is all about! Keep up the great work! Lydia – It is possible! You can do it! Cindee – Brown rice syrup is the closest you can get. Joy – While canola oil is a vegetable oil, it’s probably not the healthiest choice (although some would argue with me on that). Try safflower oil or coconut oil. Avocado, walnut or grape seed oil are also good choices. For 1/4 cup brown sugar, I would use a scant 1/4 cup agave or honey and 1-2 tsp. molasses depending on how heavy of a molasses flavor you want. How do you feel about Stevia? I am trying to figure out if it is actually clean… there’s so much conflicting info on the internet. I am looking for a sweetner to put in my coffee and I’m new at clean eating – making my first clean grocery trip this weekend. I am so thankful for your shopping list – it will make the trip much less stressful! Andrea – Glad I could help! As far as I know, Stevia is clean. But I don’t know much about it as I don’t use it. I get too much of an aftertaste from it, so I don’t care for it much. I have no idea if it undergoes a lot of processing though. You could google “stevia processing” and see what comes up. If it’s processed, it’s not clean. Hope that helps. I don’t know if cream is clean or not but I’ve substituted cream and sauteed mushrooms for Campbell’s cream of mushroom soup and it was better. Sarah – Cream is too high in fat. While technically it’s clean because there is no processing involved (for the most part), it’s still too high in fat to be included in a clean eating diet. Though, in a pinch, it would be better than the alternative! I see you recommend the use of agave nector a substance as deadly as high fructose corn syrup, processed in the same way as HFCS. It would be good to research this yourself. Carol – That’s what some people say. But there is much evidence to the contrary as well. It also greatly depends on the manufacturer themselves. I leave it up to people to make their own decisions in that regard. I won’t preach one way or the other. The matter is far from settled. The thing with research is that most people pick it apart to suite their own needs and goals. I’ve yet to see a definitive study that proves this. As a busy mom on a budget, I used to make many casseroles that called for “cream of” soups. Since switching to clean eating as much as possible, I had to find a good, clean, inexpensive and time saving substitute for these soups. When I am cleaning up a recipe that calls for cream of soups, I’ll usually take the base (celery, mushroom, chicken, whatever it’s cream of), and sauté it in olive oil until tender. I then add low fat cream cheese and a small amount of fat free milk or unsweetened soy milk and cook over low heat until it has thinned out just a bit. Then just cool and store in fridge until you’re ready for it. Cassie – that’s great! I’m sure that will help a lot of people here. Thanks for sharing! Hi Tiffany, lots of good info here, thankyou! I notice you substitute Agave and Honey for sugar in a lot of recipes. Aren’t they still basically sugar? Bryan – Yes, they are. But they are considered clean because they are not processed. Although there is some debate over agave and how it’s processed. Lately, I’ve been sticking more with honey. Do you a substitute for heavy (or light) whipping cream? Paula – It really depends on the recipe. Some recipes can handle it, some can’t. Hi, I’m looking to convert several family recipes that use solid shortening. Any suggestions? Thanks! Jen – It really depends on the recipe. Some will do well with oil and some will do well with things like bananas and apple sauce. For clean cream of “something” soup, I use http://thyhandhathprovided.blogspot.com/2009/02/chicken-zucchini-casserole.html and make up my own dry mix to have ready on hand (it’s just about as quick as the canned stuff) OR I use http://tammysrecipes.com/homemade_cream_chicken_soup and freeze it in 1.5 cup portioned ziploc bags for a quick thaw. For celery or mushroom, I saute the appropriate veggie in one of the above recipes. Not only is it healthier, but WAY less expensive. Those cans are almost $1.50 each even for the store brand! Christy – Thanks! I’ll have to check those out! What do you sub for butter in a recipe? Reneau – That depends on the recipe and how much butter is called for. Hello! I’m still new to the clean way of life and have found your site very helpful. Thank you! A couple of questions. For brown sugar, do you use the same substitution chart as you would for white sugar? For example, if a recipe calls for 1 cup brown sugar, how much agave and molasses would I use? Also, any substitutions for cream cheese? Thanks again for this site! It’s made my transition to eating clean much easier! Jenny – What I do is convert the sugar to honey or agave and to that I add a bit of molasses. How much really depends on how much honey or agave I’m using. But typically, between 1-3 tsp. is enough to flavor it. Cream cheese would be non-fat greek yogurt or yogurt cheese which I also have a recipe for here. But the tanginess of the yogurt really comes out, so some people don’t like to use it as a substitute. Any chance of a clean shepards pie? My favorite. Britt – It’s on my list! Do you know of a good substitute for mayo? I’ve tried greek yogurt, but it’s not quite the same…it’s a little too tangy! Any ideas? Sarah – I don’t think anything will ever truly equal mayo. So you can do one of two things. 1) Get a clean mayo and use very small amounts. 2) Try hummus. It’s different, but it does add some yummy flavor. Are store bought noodles a “clean” food? Lizbrooks – Depends on the noodle. If it’s 100% whole grain, then yes, most people treat is as clean. But I supposed it depends on how strict you want to be. Noodles certainly don’t come from nature that way, so it’s all about how strict you want to be. Heidi – You’re welcome! Glad you enjoyed it! love the web site. Thanks for all your hard work. Thanks Kim! I appreciate your support! Giselle – That depends. What type of oatmeal snack? The type that is like loose granola or the type that is like a bar? in regard to sugar replacement how do you alter the other ingredients in a baked good to account for honey? Dana – Depends on the recipe. Recipes are all based on ratios. So some recipes do okay without any alterations. Others, I have to look at the ratios of wet to dry and adjust accordingly. can I substitute greek yogurt for cottage cheese when making protein pancakes? Scotnkaren – I don’t see why not. Maybe make a small batch the first time just in case, but I would think it would work just fine. Hello! I am new here and starting myself and my family of 6 on a more “clean” diet. I am also a major sugar addict and that is the first step I have taken for myself- cutting out all processed sugar. I’ve started using honey and pure maple syrup, but I noticed on some of the “organic” products I buy for my kids, they use “organic dried cane syrup” or “organic evaporated cane juice”… what the heck does that mean and is it considered clean? Mindy – No, they are not clean. A plant can be grown without chemicals, but if it is processed into something “unnatural”, it is still not clean. Clean eating is all about avoiding unprocessed ingredients. Always ask yourself if you would buy an ingredient individually to cook with in your own kitchen. That will often help. I don’t know of any stores that sell evaporated cane juice, organic or otherwise. It’s a good rule of thumb to follow when shopping. Amy – How wonderful! Thank you so much! I’m thrilled you’re enjoying my site and recipes! Paola Bear – Depends on the recipe. Jlallen – Yes. First, be sure you’re getting whole grain cream of wheat. The regular stuff is processed and is not whole grain. Bob’s Redmill makes it, but I can’t remember the name on the package. Something like “whole farina” or something like that. Make the butter organic and use honey instead of sugar. Corine – Yes, pure maple syrup is clean. Enjoy! Heather – Depends. Low fat or non-fat plain yogurt is clean, flavored is not (though there are rare exceptions). Cream cheese is not due to the high fat content and same for sour cream. But other than that, they are more or less okay. So if you must use them, use in very small amounts. Song – No, you would take the total amount of sugar, in this case, 3/4 cup, and substitute accordingly. I would say about 1/2 cup of honey. Then “flavor” the honey with molasses to your liking. Joyce – Brown rice syrup is wonderful and I have used it as well in some of my recipes here. Great substitute for corn syrup! I get mine at Trader Joe’s. But really, you just have to read labels. They can be hard to find, but they are out there. Or you can make your own. If you doctor tells has given you different instructions, however, please follow your doctor’s orders. Kristinvanhoozer – It depends on the recipe. I no longer eat dairy, so I haven’t been able to experiment with it much. But I can see where it would work for many recipes. If you have a particular recipe in mind, email it to me and I’ll see if I can convert it using greek yogurt. Kristin – There’s no doubt it’s confusing. And part of the reason for that is that many people have different ideas about what clean eating is. On the bright side, it also means that clean eating is very adjustable to your lifestyle and beliefs in health. Evaporated cane juice, to the best of my knowledge, is not clean. Honey and maples syrup are fine because they come from nature that way. I hope that helps. Sherri – Thanks so much! Glad you all are enjoying my recipes! Jaime – Certainly. I don’t see why not. Ruth – Sadly, no. Hopefully some day I’ll figure it out. If I use soy flour in one of your recipes instead of wheat would it become less carbohydrates in the nutrition factor? Amingione – I’m not sure because I don’t use soy flour. But I do know that the gluten will be lacking, so you will most likely get a very different result. Crystal – No, sorry. I’ve never cooked with it. Sophie – I haven’t heard about that! But boy does that sound good! Thanks! We use agave as a sugar substitute as well as the ones you have listed. Dimmyhome – Research seems to be showing that agave isn’t clean. So sad. Tracylea – Call around to local health food stores. If they don’t carry it, you can order it off amazon.com. The Bob’s Redmill web site should be able to tell you where they sell in your area. They are the most popular brand that I know of. You may have it on here somewhere…but do you have a way to make fruit pie filling? Paula – I have a pie category. You can follow the filling recipes from those. Hope that helps. N_munoz – Depends on what you are making. Can you give me some idea? Mrs. K – It depends on what you are making. But for granola bars, I would just use more oats and dried fruit. The important thing is to keep the wet to dry ration consistent. Kami – I have to admit that I don’t know a lot about cornstarch. If you don’t want to consume GM corn, you need to buy the organic version. But other than that, I’ll have to research it a bit more. Ally – What a great suggestion! Thanks! Ally – I drink coffee almost daily. You just have to be careful what you put in it. Alcohol is only a special treat. A once in a while thing. It’s not clean, but it’s okay on occasion and in strict moderation. I drink maybe 2-4 times per year at most. Margarine is not clean. If you must have something like that, purchase organic butter. Otherwise, olive oil is your best bet as are other healthy oils like avocado or walnut oil. Lydia – That’s a tough one. I have had several requests to clean it up, but I’m still trying to figure that out myself. You might try some 1% milk and some cornstarch to thicken it up. But I’d have to try it myself to be sure. Sorry! I grind up chia seeds to make chia flour and use it in all recipes that call for flour as a thickener or binder. I also use chia gel as an egg replacer. Jaynelein – That’s amazing! Does the quinoa add any flavor to what you are making? Thornhill – It’s not clean unless it’s green. The white powder has been processed. I have a bread maker. The whole wheat bread recipes call for part whole wheat flour and part bread flour. If I don’t use the bread flour and butter called for in the recipe, then the whole wheat bread turns out very dense and not very good at all. Is whole wheat pastry flour a good substitution for the bread flour? I already buy organic unsalted butter…Thanks! Unlvnurse – For bread, I would sub with WHITE whole wheat flour. It’s much better for bread than pastry flour. I’ve just recently discovered it and may have to update my recipe here to reflect that. Hi! I absolutely love your site and have found it very helpful. Was wondering what your thoughts are on Truvia, Ideal (Xylitol)? I use Truvia daily in my coffee and bake with Ideal as a sugar substitute. I notice you primarily use honey as a sugar substitute. I try to keep my sugar intake below 50 grams a day and have really noticed a huge change in my body. But am wondering if these sugar substitutes are really clean or just as bad as refined sugar. Have read some conflicting info. Would love to hear your thoughts. Thanks so much for sharing your site. Carrie – Here’s an easy way to remember it. Sadly, I have not come across any sugar substitutes that are clean. Even powdered stevia is processed. I believe the liquid might be okay though. But not positive on that. Xylitol may be a healthier option for your teeth, but it’s not clean. That said, I do know clean eaters who use xylitol. I use xylitol in my clean eating because even though it is processed it isn’t as bad as most substitues or even agave and it’s hands down the closest to taste for a white sugar replacement. Plus it’s not a problem for blood sugar like honey or maple syrup, (other favorites I use often), it’s dry so you don’t have to worry about adjusting liquid in recipes, and it’s very low calorie. Plus some clean eating sources such as Clean Eating Magazine approve it as good for clean food. So yeah it’s sort of controversial, but I just thought I would share why I choose to use it. Awesome! Thanks! I know a lot of clean eaters use it. I am trying to transition my whole family over to clean eating–tough with my sensory children, it’s a process. Can you help me come up with clean ketchup–pretty please with raw honey on top?!!! I haven’t yet ventured into scone territory, so It’s hard for me to say. But yes, I would use coconut butter. This is the BEST site I have seen in a long time….Thank you so much for all of the useful and easy to follow (and read) information !! I will definitely be practicing clean eating !!! I’m glad you’re finding it useful! I have a cream of mushroom soup here on my blog. You can always add chicken to it if you like. I make big batches and keep it in the freezer. What about using Agave as an alternative sweetener? Agave is not clean. It’s very processed. I have noticed ascorbic acid in tons of canned foods. I keep trying to google and find that it is vitamin C. Is this clean? If not, then why is it considered unclean…? I think things like that are fine. If it’s just a vitamin, I wouldn’t worry about it too much. The real question is, why do they have to put a vitamin in there? Is it that processed? Yes, that’s probably best. It will depend on what you are making, but coconut butter is typically a wonderful substitute. Or you can use some butter and some apple sauce, or use olive oil and apple sauce. Or olive oil and butter. I’ve never heard of it. Sorry. Yes, but it depends on what you are making. Sadly, it turns out that agave is not clean. So I avoid it. But I do know people who continue to use it for the very reason you mentioned. It’s a personal choice. I love yogurt for substituting in baking. You can substitue a huge variety of things including most dairy products like butter or cream or even for oil. The amount you want to use varies depending on what you’re substituting and the type of yogurt you use. My favorite is Fage 0% strained yogurt because it has a mildly tangy flavor and wonderful thick texture. Just make sure you aren’t using yogurt flavored with sugar and chemicals. Also fair warning it will often make your baked good a little extra fluffy. It’s a nice effect depending on your tastes, but in cookies you will notice the difference in texture. Excellent tip Shanna! Thank you! You’ll find varying answers to that question. Personally, I don’t think it’s a good idea to eat the same thing every single morning, regardless of what you’re eating. Variety is key with healthy eating. But as to whether or not it’s too much cholesterol would depend heavily on your health and individual constitution. I have a cream of mushroom soup here that you can add chicken to if that helps. This was a good read, even the comments and suggestions were good, but I am still still amazed that Agave is not clean, who would have known with all of the attention that it get’s from other site, thanks! Hi there, Im wondering what you would replace ‘sweet chili sauce’ with? I use this in alot of stirfries and add it to mashed avacado and natural yoghurt for mexican dishes. p.s…LOVE YOUR BLOG!! Im learning so, so much! I’ve never had sweet chili sauce, so I’m not sure. I’ll try to look in to it though. I cook a lot for my family in the crock pot and a lot of those recipes use those yucky (I am just now learning) condensed soups. The 3 most common ones I use are cream of chicken, cream of mushroom, and cheddar cheese soup. Any Idea how I could substitute these for the crock pot? I have a cream of mushroom soup here. You can also add chicken to that. The cheese soup…. not sure. I’ll have to think about that one…. I’ve actually substituted plain Greek yogurt for oil in a cupcake recipe. Did come out more of a bread/muffin texture but it was delicious! I don’t eat fish/seafood of any kind, yet I find the clean eating recipe plans call for at 4-5 fish/seafood meals a week! What, IYO, would be a good sub for fish/seafood? No, Truvia is not clean. It’s made by the Cocoa Cola company. Liquid stevia would be the closest thing that is clean. Sounds good! Though the agave isn’t clean either. Just an FYI. Self rising flour just means they’ve already added the baking powder. Measuring one extra thing is really not a big deal. Depends on the recipe. You can email me one and I’ll take a look at it. I cook for a family member with severe reactions to ANY SUGARS. So I have been trying to use stevia. The problem is that it lacks volume and does not create the necessary chemical reactions for the proper result. Is there something that can be substituted for the bulk and melting effects of sugar? Not that I’m aware of. But it also depends on the recipe. Each recipe will be different. What about using fructose for baking? Can it be considered clean? I’ve never seen it for sale on its own, but I would imagine it’s not clean. It’s naturally found in fruit, but if you extract it and turn it into powder, I’m guessing there would be a lot of precessing involved. Just a guess though…. So helpful tips, thanks a lot. I confess I have not read all of the comments though, so sorry if I am asking something that is already discussed. Can you please let me know how can I prepare clean eating frosting or icing? (To: The Gracious Pantry) Have you tried pureeing potatoes as a base ingredient for Cambell’s cream soups? Perhaps add some milk and chicken/veggie stock. I used purreed potatoes in a recipe that called for cream of chicken soup one time and it worked pretty well. Also, I have a question: I’ve been looking all over Google for this information and I have found dissenting opinions. Is Duram Wheat Semolina clean? Duram Wheat I know is, but it’s the “semolina” part I’ve found varying opinions on. What’s your expertise on the subject? Thanks in advance. No, I haven’t tried potatoes yet. As for the wheat, it’s only clean if it’s 100% WHOLE duram wheat semolina. It must be a whole grain. So, semolina doesn’t mean refined? As long as it’s WHOLE grain pasta, you’re fine. So BROWN rice pasta is fine, as is whole wheat pasta. What can I use as a substitute for bouillon ? It’s the sodium I’m worried about. Hi Tiffany, Thanks for all your great recipes! Do you have a substitute for shortening (Crisco)? I’m trying to clean up the peanut butter blossoms (with the Hershey kiss on top) including a dark chocolate on top. The recipe calls for 1/2 cup shortening. I’m guessing you could use applesauce and butter…I’d love to know your thoughts. It also calls for 1/3 cup sugar and 1/3 cup brown sugar…I was planning to use 2/3 cup sucanat. What would you use in this case? Thanks! I believe the closest you can get to that is coconut oil or butter. The butter would be the better choice I think. Using the sucanat should work fine. Enjoy! Thank you! 🙂 Just made a mini batch substituting butter and sucanat; all other ingredients were also clean other than the chocolate on top. Used Dove milk chocolate hearts for Valentine’s day, but will look for a good quality dark chocolate for future use. They were wonderful, and my kids loved them. I’m hoping that having these on hand will help keep my kids from eating all that junk candy from Valentine’s parties. Thanks so much for your help! I’d like your thoughts on expeller pressed canola oil vs. the regular heat pressed. Or what’s the best substitute for canola oil in high heat cooking. I no longer use canola oil. It’s mostly all GMO product now. Plus, it’s really not a clean oil. Very processed. I am very new to clean eating and just wanted to ask a few questions… How do you feel about Morena sugar? Is that considered “clean”? Also, do you avoid bread all together, with the exception of pizza dough? Just a question I had while scrolling through your site… Thanks! I’ve never heard of Morena sugar, so I can’t comment on it. As for bread, as long as the ingredients are clean, you can certainly eat it. Hey what’s your take on coconut oil? I was reading that its great for cooking and a clean healthy option.. what do you think? p.s just discovered your site and i’m absolutely in love! amazing recipes! I love coconut oil! I use it all the time. Im wondering if it is possible to make a chocolate cake “clean” AND still delicious. I tried this past week and it didn’t come out so good. I replaced the white flour with “King Arthurs” Unbleached All Purpose Flour and I replaced the white sugar with the Turbinado, I used organic eggs and organic butter. and organic milk, The cake came out a little dry and had a molasses taste to it that I did not care for, overall it was good, just not chocolate cake good 🙂 .but the frosting was really the tricky park. I took the Turbinado sugar and I made powdered sugar out of it with a coffee bean grinder, ( a tip I had found online) The taste of the frosting was great but definitely gritty…Any suggestions??? I have two that might help you. I have this chocolate mug cake: https://www.thegraciouspantry.com/clean-eating-chocolate-mug-cake/, but that’s for 1 or 2 people. Then I have this birthday cake recipe: https://www.thegraciouspantry.com/clean-eating-birthday-cake/. But you would have to remove at least as much flour as you add with the cocoa powder. Cocoa powder soaks up more liquid than flour, so you’ll have to play around with it to get the proportions correct. When reading through the comments I saw a question about the Durum Wheat Semolina. When I googled it, this is what I found. “Semolina made from durum wheat is yellow in color. Semolina is often used as the base for dried products such as couscous, which is made by mixing roughly 2 parts semolina with 1 part durum flour (finely ground semolina). Just wanted to post. BTW: I LOVE LOVE LOVE your site and am so thankful that you take the time to help so many people get educated on what is so terribly wrong with our food!! Both of my children were recently clinically diagnosed with both ADHD and ODD (Oppostional Defiance Disorder). Needless to say we have had our fair share of struggles with this. The doctor is pushing for “trial medication” for both of them but I do not want them on medication. I’ve been making the change to clean eating instead and am pleasantly surprised with the results so far. My husband and I can both tell a big difference in when the kids have eaten something unclean! I know my post is crazy long.. but I just wanted to share and say thank you for being so committed, not only to clean eating for your family, but also to helping others in this journey. Thanks for all that Brandi! I wish you all the best with your endeavors. Always trust your gut where your kids are concerned. You know best! hey! i found a recipe that calls for 1/2 cup of butter. its for muffins. any subsitutes? i tried looking through here already but didn’t see any options yet. also, do you know about xanthan gum? the recipe also calls for it but i have no idea where to get it from or what it is. Xanthan gum is clean. I get mine at Whole Foods, but many health food stores will have it. Amazon.com carries it too. Someone may have asked already but, is there substitute for WWpastry flour? I just cannot find it…. Becky – The only sub would be white whole wheat flour. But you will get a slightly denser texture with that. I’m a little confused on this part. Can you please elaborate? Thanks. Ann – Sorry for the confusion. You substitute dry sugar for liquid honey by weight, not volume. 1 cup of dry sugar will be very different from 1 cup of honey. So you have to weigh them. 2 ounces of honey will be equal to 2 ounces of dry sugar. The molasses is only for flavor. That’s what they add to white sugar to make brown sugar. I hope that helps. Any suggestions for baking food coloring substitution? I’m trying to make a clean red velvet and blue velvet cupcake recipe. Ashlee – Blueberry, pomegranate or raspberry juices. Beet juice is most often used in health food store brands for red coloring. I love your clean cooking tips and substitutes. One that comes up a lot is what to do about butter – try a soft ripe avocado. (Substitute equal measurement.) The other day we made chocolate chip cookies with avocado instead, and no one noticed! They were as yummy as ever! I was worried it would have a nasty green or brown color, but it was fine! It’s a great natural oil. No dairy allergy issues! Kuri – Could you taste the avocado at all? I would like to add wheat bran to muffins. Do you know any substitution trucks for bran? Clara – Depends on how much you want to use. But generally speaking, you can sub bran for flour in roughly equal amounts. Particularly if it’s only a few tablespoons or so. Mandy – It would depend on what it’s made with. If it’s made from just regular, white sugar, then I’d avoid it. For each cup of sugar called for in a recipe substitute 1 tsp of liquid stevia and add 1/3 cup of liquid bulk (e.g. apple sauce, yogurt, milk or milk substitute, mashed banana, fruit puree, pumpkin… whatever matches the recipe). Oh regarding the comments on whether Stevia is clean – I suggest trying NuNaturals liquid stevia (I use the vanilla kind and it’s delicious). This is true plant extract, just like vanilla extract or the like (with alcohol, but they have an alcohol free version too). An easy rule to remember – if it’s in the sweetener aisle, it’s not clean. If it’s in the nutritional supplement aisle, still read the ingredients, but usually it’s true extract. Try to use liquid, not powdered. Eva – Good tips! Thanks! Thanks for this list. Quick question though… What can I use as a substitute for shortening? Thanks! Deanna – Depends on the recipe. What are you wanting to make? This information is fantastic! I do have a question. I am wondering what a good replacement for butter would be. I like to eat English muffins in the morning and I prefer savory over sweet. I would like something other than butter to us that is clean. Thanks for your help! Nicole – Perhaps some coconut butter, or nut butter or even clean jam or compote? What can I substitute for margarine to make my recipe for apple blueberry crisp clean? Eileen – Depends on how much it calls for and how dependent the recipe is on margarine. You can either sub with organic butter in equal amounts, or you can try a mix of 1/2 unsweetened apple sauce and 1/2 oil. But that’s only if it’s not needed for form or texture. I’d have to see the recipe to be sure. With your ‘frying oil’ substitute, just wondering what you could use if you are a vegetarian and chicken broth is out of the question? How do you feel about Creme Fraiche? I am not a huge fan of greek yogurt and I have found that creme fraiche seems to be a happy medium between natural, unflavoured yogurt and cream cheese or sour cream. It works well in most recipes as a substitute for anything from yogurt, to cream cheese, to regular cheese, and what’s best is that it can compliment either sweet or savoury flavors! I could eat it on its own, over fruit, as a binder in certain recipes, or as a base for a sauce. I think it could work well for this “cream of” conflict being discussed above. Would you consider it clean, or am I going to have to learn to like greek yogurt a little bit more? Ev E. – You know, that’s an excellent question. I’ve never had it!! I’ll have to take a look next time I’m at the store. I will report back when I do. Hello! I am new to the blog, but very excited to live a clean eating lifestyle! I am trying to learn all the rules for what to purchase and what not to purchase. I use a lot of extra virgin olive oil with cooking and sauteeing and was wondering if I should be using something else? There is only one ingredient listed on the back of the bottle if that helps. Nicole – Welcome! It should be just fine. Enjoy! Have you ever heard of/used the sweetener ZSweet? It’s been a huge save for making my husband’s favorite recipes. It sweetens just like sugar, doesn’t have any funny taste to it, and won’t raise your blood sugar! Any updates on the Creme Fraiche? I have started using greek yoghurt a bit more, but it’d still be good to know I could use multiple different yoghurt substitutes in my recipes. Wow, this is a lot to take in! I’m brand new to the eating clean world. My family and I really want to start eating clean and I think your website is just what we’re looking for. I’m sure I’ll have questions, so I’m glad to know that you are hear to help. Kendra – Welcome! Just take it one step at a time. Every week when you shop, replace not-clean foods with clean ones. In a few short weeks, you’ll have your kitchen converted for clean eating without any stress on you or your wallet. You’ll do great! Hi, I started reading your blog several weeks ago after deciding that I was addicted to sugar and needed to cut it out of my diet. I ate nothing that even tasted sweet for four weeks starting in April to kill my sweet tooth. I found your blog because I looked up dessert recipes with no sugar and found I was following clean eating practices. I had no idea that so many people were doing the same thing I was doing. I was so excited to find I wasn’t crazy! I have recently begun to add in sweet tasting foods in moderation. I wanted to ask about using pure cane syrup. I was reading about it , it seems to be cleaner than molasses, but wanted to check on your thoughts. Wondering this time about substituting cream cheese. I knew about plain low fat Greek Yogourt for sour cream(great on a baked potato, never know the difference). but have a low fat fettucine alfredo recipe and am trying to convert it and it calls for low fat cream cheese. Any tips you could provide would be helpful(also have baking recipes that call for the cream cheese but if I can substitute, then hey why not ya know?) Thanks again, I love your site and am learning so much! Knowledge is power! Keep up the great work! Anne Hachey Toronto, Canada! My family’s favorite zucchini bread calls for chocolate pudding mix. Any idea what to substitute? Andrea – Not for that specifically. But I do have a zucchini bread recipe here on my blog if that helps. Wondering how you feel about baking with Xylitol? I find it works as a great substitute for white sugar…wondering if it is considered “clean” or not. What is your take on White Whole Wheat. I substitute it for anything that calls for white flour because it that such a better texture. From the research I have done, it is the same as whole wheat, just a lighter stalk?? I do use whole wheat pastry flour, but it is a lot more expensive. Just curious about your thoughts on this! Any subs for velveeta or cream of mushroom soup? Hi! New to this, and trying to make it my lifestyle. My family loves my smoked bbq’d ribs and I am trying to figure out how to make my sauce clean. I use ketchup as its base and need a substitute. Help? What’s a good sub for nut allergies such as peanuts, peanut butter, almonds etc. Tiffsny – Most likely sun butter if you can tolerate seeds. Just subscribed as my family is beginning our clean eating journey. Loving the website, but find it a bit amusing that Tastykakes is one of the sponsored ad’s. I understand Blogher is responsible, just a bit ironic. Looking forward to learning more through your website. Hello, I have a recipe for vanilla and raspberry muffins that I am trying to make clean – it is asking for 80g of light margarine. Would I be better to use coconut oil or applesauce? Brooke – Honestly, I’d probably do 1/2 and 1/2. That way you cut down on the fat a bit without losing moisture. Let me know how they turn out! I just recently had my 3rd child, and have become an avid runner to get my “volleyball body” back. I have become somewhat obsessed with the idea of cleaning, however I’m completely a novice. I appreciate your blog a TON and all the comments as well, and while I haven’t heard of 75% of the foods you’re talking about, I’m excited to try them. I appreciate your hard work and investigation!! Thanks so much! Thanks for the information. Is the organic can sugar I buy at Whole Foods considered clean (it looks a bit brown, like sugar in the raw)? If not, why not? Thanks, again! Dena – I’m still researching all the different sugars. It’s a very large topic to cover and I hope to do a post about it in the near future. As far as I know so far, sucanat or coconut sugar are the only ones that are clean. But again, I have to do more research on that. Wish I could be more help. Great stuff. I just started clean eating. My wife’s not completely on board, I don’t think she’ll ever give diet Mountain Dew. I find it interesting that all the comments are from women. Where are the clean cooking men? My son has nut allergies and I cannot have any nuts in my house. I am seeing a lot of recipes with nuts. Can I substitute the nuts with seeds or is there something else to substitute? Is raw sugar OK to use? Audrey – The short answer is, I don’t know. But I am working on a post about different sugars and am doing the research on that. So I should be able to tell you soon. I have a nut allergy and would like to know what I can use/substitute to get the benefit of nuts and their healthy oils. Tawanna – If you have a nut allergy, then using anything nut related is not a good idea. I would ask around at a local health food store. Perhaps something like omega 3 oils? I’m not positive…. Hello, I’m a beginner and I want to be fully prepared with the right information before I begin. What about truvia or Stevie, are they acceptable as clean eating? And caffeine, is it considered clean eating? Thanks you so much you are truly an inspiration and your website is just amazing. I can’t wait until your new book comes out! Jenna – Stevia is a plant (you can grow it yourself). Truvia is made IN a plant (the coca cola manufacturing plant). So as long as you have a pure form of stevia, that’s the clean choice. Personally, I haven’t found one that is truly clean (the liquid drops are the closest you can get), so I’m growing my own stevia plant. We shall see how that turns out! Caffeine is a gray area. I would limit it if you are going to have it. Maybe 1 cup of coffee per day. Totally a personal choice though. is sugar in the raw and green tea considered a clean product? Brittney – I believe so, yes. Hi We have been eating clean for 9 days now and I can honestly say that in the last 3 days I have had more energy and have slept better than in ages. I am fdindingf it really easy, there is an abundance of “real” food that you can eat. There is one thing I can’t do without and that is gravy on my Sunday roast. We have been using gravy granules for so long I can’t remember how I used to make gravy before! Also when coming in from work they are so handy and quick. How can I make and thicken gravy the clean way? Jennifer – When you cook the roast, do you end up with any drippings in the bottom of the pan? I make my gravy from drippings. (I usually make mine with chicken drippings from the slow cooker). Just add 1 tbsp. at a time of flour if it’s very watery and some garlic powder, onion powder and any other spices you want. If there isn’t much, try to get as much as you can and maybe add some clean broth. You can make broth gravy the same way, but it tastes better with some of the drippings in it. You don’t need much for flavor. Jennifer – I’m saying that you should avoid white flour and use only whole grain flours. I replaced Campbell’s soups by making my own. I know organic butter isn’t a part of clean eating, but it’s better than all the chemicals included in the can of Campbell’s. I use wheat flour for the rue. There are many recipes online. Just reduce the sodium and make your own chicken stock. It tastes so much better than the canned stuff. Val – There is nothing wrong or “un-clean” about good quality butter. You just have to use it in moderation. Whole wheat flour can easily replace white flour in this instance as well. And I agree, make stock! Taste’s so much better! I have a recipe from my mother that I would like to “try” to make clean. It is a candy but I think it could become a healthy snack fairly easily so we could still enjoy it. In the original recipe it calls for powdered sugar and I am trying to figure out if I can leave that out or use something else. This may sound weird, but I had a cornbread mix that had canola oil in the “recipe” and I got a wild hair and substituted coconut oil. Worked like a charm and people complemented me on it all night! May work in other recipes as well, just be aware that it may add sweetness to the flavor. Sandee – Absolutely!! I’ve been using coconut oil for about the past year, and I am absolutely in love with what it does for my food. Yum!! Leeanne – I assume you mean powdered sugar? All you would do is put some coconut sugar or sucanat in a blender to get clean, powdered sugar. So is it possible to substitute liquid sweetners such as honey and pure maple syrup in baked goods? Do you need to remove some liquid or is it fine as long as you use the same weight when substituting? I know white processed sugar isn’t any good but is unrefined cane sugar ok? Also I was looking into alternative pastas and one option my local co-op has in quinoa pasta, the second ingredient is corn flour, is that ok? By the way… thank you for such an amazing website!! It’s been so helpful as I start my clean eating journey. Jennifer – You want to look for something called Sucanat. It’s dehydrated cane juice which is clean. Other varieties are not. But still keep it in strict moderation. As for pasta, unless it’s organic corn, I would avoid it as it will then be a GMO. I like my coffee. I saw on the internet that coffee isn’t clean eating. Is that the case? I like the flavored creamers too. I don’t have to add extra sugar when I use it. What can I replace my flavored creamer with to get that creamy coffee? Milk doesn’t work. Would coconut milk work? Betty Lee – In my recipe index, I have a coffee drinks section under Beverages. You’ll find several options there, even a couple creamer recipes. If you like it sweet, my condensed milk recipe is great. You can use any type of milk. I am having trouble finding good substitutes. 350g dark chocolate, chopped – Unsweetened baking chocolate with honey added to taste. ⅔ cup (150g) caster (superfine) sugar – Sucanat (you can run it through a blender to turn it into powdered sugar. ¼ cup (35g) plain (all-purpose) flour, sifted – Whole wheat pastry flour. Quick question: What do you think about Agave nectar (the bottles that sell this looks like a dark honey-like syrup). Would you recommend this to substitute instead brown or white sugar? Araceli – No. Agave is highly processed stuff, similar to corn syrup. 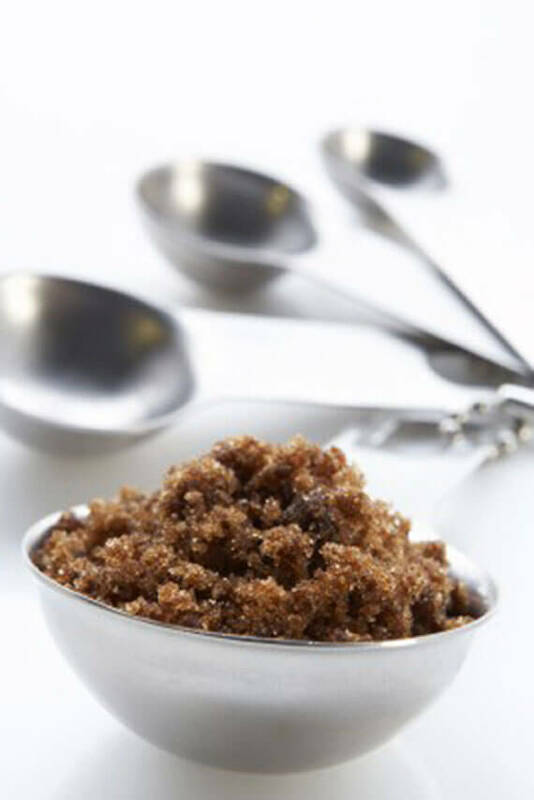 If you need a brown sugar flavor you can use honey with a bit of molasses or for a dry sweetener, use Sucanat. Tina – I’ve been contemplating that myself. It’s not easy. About the only thing I can think of is simply to make your own cheese sauce using cheddar and cream. I’m quite enjoying the recipes and the information, thank you very much. One thing I wanted to mention, a substitution I have been making for years when baking — ground flax seed for the fat/oil in recipes. It’s a 3:1 ratio, so if the recipe calls for 1 cup of oil you need 3 cups of ground flax seeds. It’s good for you and it tastes great. Fantastic, particularly in muffins or quick breads! JASAHM – Sounds interesting! The issue I’ve always had with flax is the sort of oily (almost slick and slimy) texture it gives baked goods. Do you know a way around that or do you just get used to it? The only time I have that “trouble” is if I use it in something like banana muffins that are quite moist to begin with. My family actually finds that it makes things a little drier. I was wondering if real sorghum molasses for sweetener could be used in clean eating? I have spent hours reading your blog and have learned so much already! Thanks for all you have done to help others learn to eat clean! Marquita – I looked it up because I have never heard of it. It appears to be clean, but I don’t know how a larger company would process it. You would have to look at the processes the company uses that you want to buy from. But beyond that, I’d say it’s pretty clean. How about a substitute for cream cheese. So many of my winter casseroles an soups call for it. I’ve heard Greek yogurt and, while it is a great sub for sour cream, it is a bit too tangy for cream cheese, in my opinion. I’ve been experimenting with substitutions, and am wondering, can you replace multiple ingredients in the same recipe? For example replacing butter with banana and sugar with honey in one recipe. Or does one have to remain unchanged. This is all new to me and very confusing but im not giving up yet. Heather – You can. But with baking, you have to keep the wet to dry ratio the same. So if you use honey, you’ll need to up a dry ingredient slightly to get it to come out right. Michelle – Good quality butter in moderation is clean. I’m not sure what AIP is though. If it’s a medical issue that would be something else entirely and I couldn’t comment on that. Alice – You can try it without, but the cheese does add some flavor, so you may have to adjust the spices to your liking. How would you us a product like NuNaturals Pure Stevia poweder? Shauna – Most of those companies will have conversion charts on their websites. I don’t use them, so I’m not really sure. Meagan – Not really. But you can thicken other milks or use coconut milk. Depends on why you want to avoid it. If it’s because of dairy, then coconut is a great choice. But if it’s for avoiding the fat, then I would look at some nut milks. If it’s because of the processing, then pretty much any full-fat milk will work. So im a baker and i have a customer that only does organic. Can i just get a regular cake recipe and use all organic products instead ? Claudia – Sure. If organic is her only requirement, you can get organic white flour, butter, milk, etc. But if you want something clean, that’s entirely different. Do you think its possible to substitute plain greek yogurt for vegetable oil in a zucchini bread? Hope – It’s possible, but I haven’t tried, so it’s hard to say. I know apple sauce works, so I would imagine yogurt would work as well. Just a guess though. Hi! I am allergic to nuts and I am lactose intolerant. Do you have any ideas for snacks during the day? Most of the clean eating sites I have visited mention snacking on nuts. Jacqui – How about: hard boiled eggs, chopped veggies with non-dairy dip, roasted chickpeas, guacamole with homemade chips made from clean tortillas, chopped fruits or even deviled eggs. Would those work? Absolutely love this! Super helpful!!! Thanks so much! I feel empowered! Hi! Thank you so much for this information! I just started adopting a clean eating lifestyle and I stumbled upon your blog. So thankful for you and your blog! I have a question too. Any idea what I can substitute for vegetable shortening in my pie crust recipe? Thanks again! Christina – Welcome! I do have several pie crust recipes on my blog here, but if you are simply looking to clean your own recipe up, then I recommend a good quality coconut oil for that. You can also use butter if you prefer to avoid any coconut flavor. I hope that helps! Hi, I’ve had a severe back injury and surgeries for 7 years. I just turned 60 and my meds don’t allow for much weight loss. HOWEVER, I’m old school, grew up on scratch recipes. No one in my family measured anything! Lol. I love pies, but have a terrible time with crust. I also would like to find a easy white cake to put fruit on. My problem I always want to bake but don’t have a single low fat, sugar free substitutes I need to replace the sugar or at least cut back on it. You would think by now I would know how to do this but old habits are hard to break. I like the substitute TRIVIA.. the amount of dry measurement as sugar, easy…. BUT I kind of find it to sweet and the texture in my white cake is a little rubbery. I use it for fruit and such, but there’s nothing like a white cake made with fresh eggs, real butter, and white sugar… doesn’t get any better. What could a substitute besides applesauce, sub sugar, no egg, no fat, honey, syrup??? Lol…. might as well not bake!!! I always thought that a real good cake, doesn’t really need icing. It’s good by itself. Add some peaches or blackberries and it’s a good dessert. Like all others we get it in our heads, NOW I CAN EAT MORE BECAUSE I LEFT THE ICING OFF! Haaaa…. Debbie – I’m not sure I can help. It sounds like clean eating may not be your focus. This is the closest thing I have to that sort of recipe. It’s different from what you are looking for however. Heartier for sure. Truvia wouldn’t be considered clean eating either. https://www.thegraciouspantry.com/clean-eating-birthday-cake/ . Sorry, wish I could be more help. Is there a ckean substitute for creme fraiche? How does cane sugar stack as far as clean eating. I have always been told it is a good option. Vicki – Sucanat is a clean cane sugar. It’s really about how much a natural food is processed. Cane sugar gets pretty heavily processed. So you want to look for raw sugar such as Sucanat (it’s a brand name I’ve seen at most stores in my area). I read a lot about using stevia instead of sugar. It says to use bulk and one of those bulk items is yogurt. Does it mean unsweetened? Or any yogurt? Will regular sweetened yogurt defeat the purpose? Eli – Not sure what you mean by bulk yogurt. When you purchase yogurt, buy the plain variety and add your own sweetener. Buying regularly sweetened yogurt is not clean because the sugar they add is highly processed. Hope that helps! Thanks for this post! I am making a vegan pumpkin corn chowder that calls for two cups of brown sugar. I removed added sugar from my diet and would like to replace it with a healthy alternative instead is another kind of sugar, agave, syrup, etc. Do you think that unsweetened applesauce or apple butter would work? Do you have any other suggestions? Thanks so much! Christen – Brown sugar is a relatively strong flavor. We don’t think of it that way, but it is. In this case, I would use 1 tbsp. molasses to get a flavor closer to brown sugar (brown sugar is white sugar with molasses added). I would also opt for maple syrup in a recipe like this. If you want to do away with sweeteners completely, you can absolutely use applesauce, but you won’t taste that sweetness when the dish is finished cooking. Hope that helps!